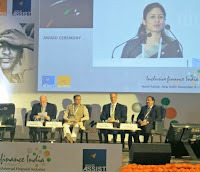 IFMR LEAD recently collaborated with Access Assist as technical partner for the successful Inclusive Finance India Summit – A global platform for deliberating on issues related to financial inclusion, financial education and financial stability, and for building a Financial Inclusion Vision 2020. With an endeavour to inform and influence the pro-poor policies and to strengthen the enabling environment, the Summit successfully brought together important stakeholders to discuss key issues and challenges, and build a consensus on the way forward. 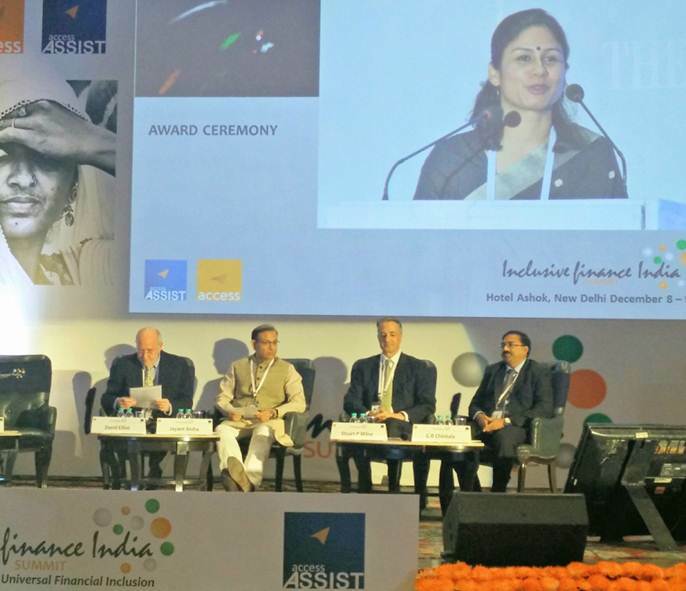 The Summit was held on 8th and 9th December, 2015, at Hotel Ashok, New Delhi. 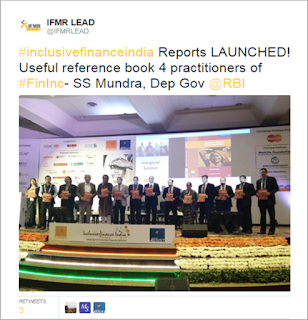 Inclusive Finance India Report 2015 was released at the Summit by S.S Mundra, Deputy Governor, Reserve Bank of India. 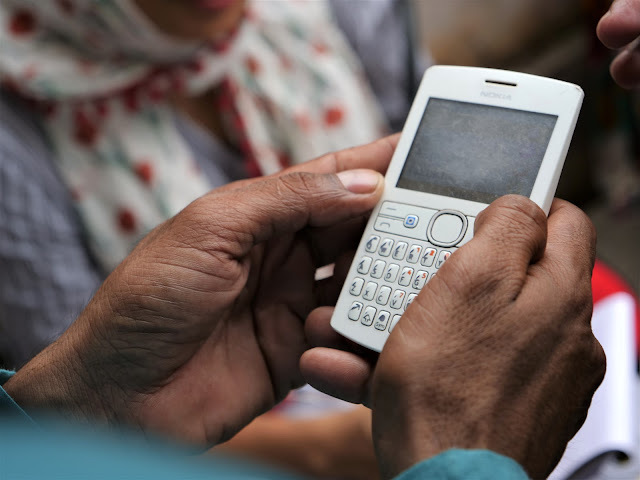 The report reviews and traces the advancement of financial inclusion in India. Moreover, the report brings together varying perspectives, policy prescriptions and practices around financial inclusion, along with a critical appraisal of the emerging financial inclusion architecture in India. This involves customer-facing and back-end technology solutions as well as a range of different stakeholders such as banks, regional rural banks, cooperative banks, the postal network, microfinance institutions, self-help groups and the players solving the last mile problem. Microfinance India Social Performance Report: An annual publication with comprehensive research based analysis and documentation of data and initiatives on social performance within microfinance sector was also released at the event. Microfinance India Awards: Instituted in 2009 and conferred annually, Microfinance India Awards seek to recognize and celebrate institutions and individuals for their exemplary contribution in the organized growth of the microfinance sector. 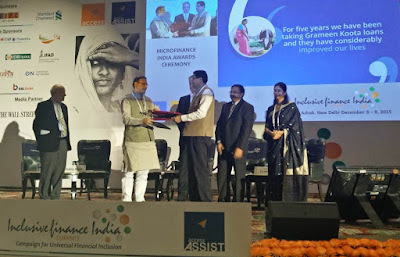 Shri Jayant Sinha, Hon’ble Minister of State for Finance, Govt. of India presented the awards to all the winners at the ceremony held at Hotel Ashok, New Delhi on December 8, 2015. As Technical Partners, IFMR LEAD's research team drafted fact sheets on the various panel discussions organized at the Summit. These fact sheets were aimed to provide an informative overview of the respective session agendas to the general audience. In addition to this, the Policy and Outreach team at IFMR LEAD successfully led a social media campaign in order to publicize the event and reach out to other organizations and portals who share a common interest in the sector. 3. Payment banks: Will they be a game changer? A Summit hashtag i.e. #inclusivefinanceindia was created for the Event, and we have used Storify to help our readers get a quick glimpse of the key tweets all at once. Please find it below.